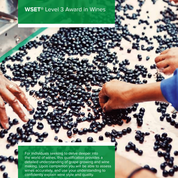 For those candidates who cannot attend class or prefer to study at home, the American Wine School offers WSET Level 1, 2 & Level 3 as at-home study programs via WSET’s Online Learning program. The Online Learning option gives candidates who cannot attend class, another option for participating. The price includes the study materials, exam fee, and online learning fees. Please note that the exam is NOT given online. Each course has specific exam dates. Once you sign up for the course, you will automatically be signed up for the exam date associated with the course. 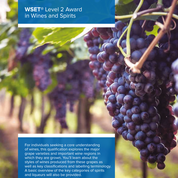 The WSET London Wine & Spirit School offers an online distance learning option for the wine enthusiast who wishes to study for pleasure or gain a WSET qualification, but find that it is difficult to attend regular classes at the School. Studying online offers students the flexibility to fit their studies around their commitments and lifestyle. Each of the qualification course is based around a structured week-by-week programme of activities and you will be guided on the number of hours of study needed for each week. However, the courses have no fixed study times so you will be able to plan your weekly studies to suit your personal lifestyle. 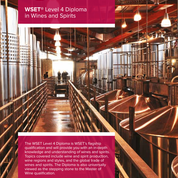 All online qualification courses are designed to be interactive and make learning more accessible and engaging. 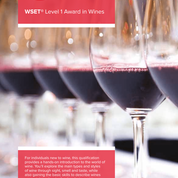 The courses utilize social media to allow students to study alongside their peers under the guidance of a WSET tutor.